It seems like a long time since I lasted posted on my page. I kind of forgot about it. Mostly I’ve been posting on Facebook but I’m going to get back to a regular routine on here. So, stay tuned to see some stamping ideas and maybe a thought here & there. I have been posting all my pictures and comments on my Facebook page. Unfortunately, there are many of you who are not on Facebook. I am trying to post copies of my pictures here now so you can see them. It will take a while to catch up. Stick with me and keeping check back every week or so. Once I get caught up with all the old stuff, I will start posting on this blog simultaneously with Facebook. I am very happy the winter is over now. Having snowstorms in April and May this year made me cranky. The sun is out more now. It’s light when I wake up in the morning. That is important to me. I do not think you should have to get up when it is dark. Our pastor, Kraig Keck of Chisago Lakes Baptist Church, is preaching in the book of Mark right now. We’re going slowly, but it’s great to really study what God has to say. Our church has summer Bible studies in homes and that will begin shortly after the end of the school year. This study this summer will be on Solomon. John and I are looking forward to that one. We also like the small groups that meet for these studies. You have an opportunity to get to know people that you have not had the chance to spend time with. They have several homes and you can choose the one closest to you. Everyone is studying the same book so it’s really a church-wide event. John and I are going to southern Minnesota next weekend for a couple of days. We plan to see the new WWII airplane museum. That should be quite interesting. Will be home for church and then Memorial Day military event at the cemetery where John’s mom and dad are buried. Hope the weather is good — at least it won’t snow — hopefully. 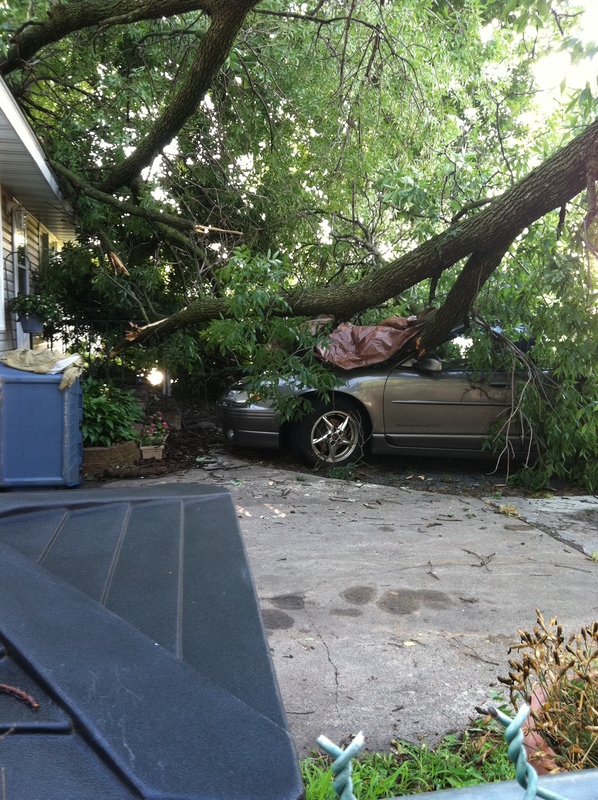 Tree in our front yard fell onto the neighbor’s house and car. 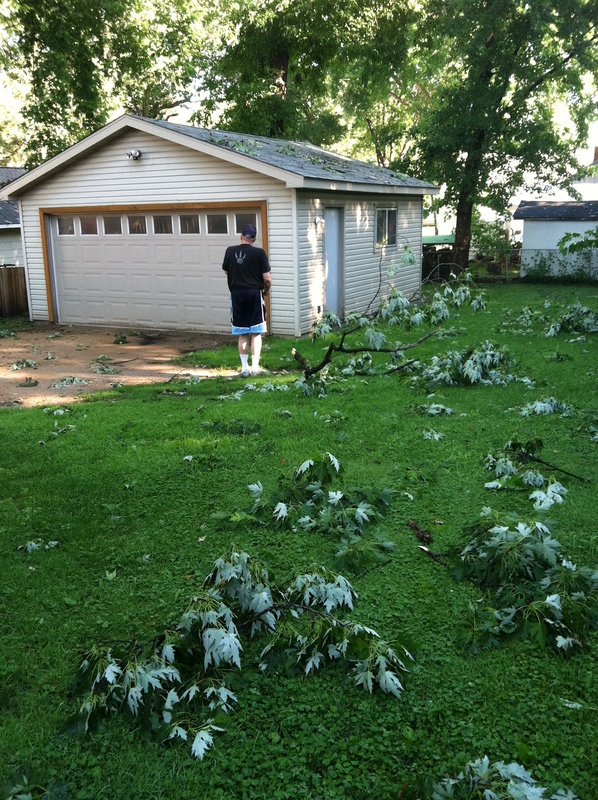 Luckily, we did not have much damage. Lots of clean up today. The Close to My Heart company sent me an email for a free digital scrapbook layout, so I made one. Here it is. John’s mom and dad are buried here. Every year on Memorial Day, the Honor Guard has a ceremony for the veterans. The names are read as young people place a flag for each one. The honor guard shoots off their rifles and the young lady here sang the National Anthem. Then the soldier with the bugle plays Taps off in the distance. It’s very honorable. We go every year. Here are the pictures. 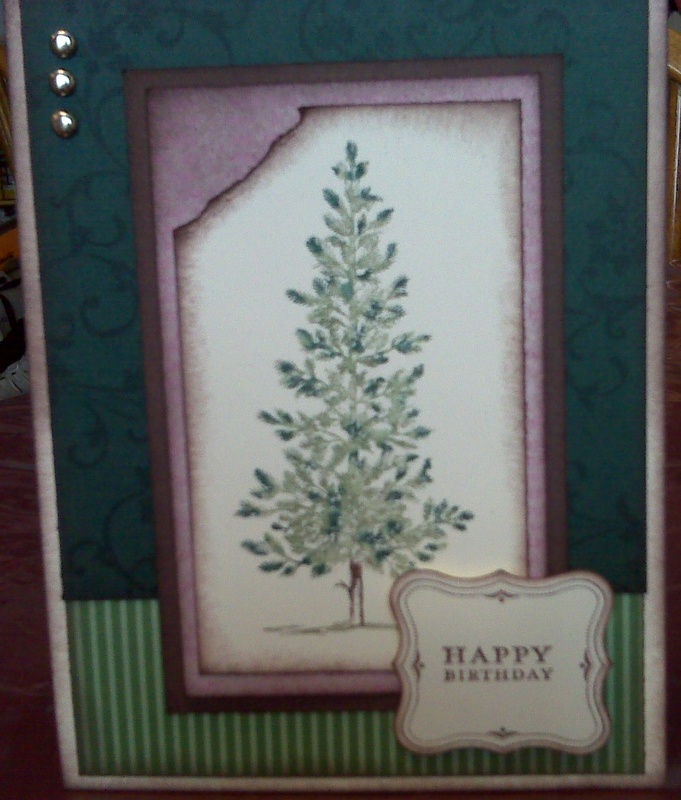 Here are the latest card creations. Here’s the newest card using Happy Moments stamp set. Once again, or is it still, the snow is falling. It’s so quiet and beautiful. That’s because I’m inside and don’t have to go anywhere today. It’s just like a picture postcard. Expecting about 3 inches today. That won’t keep us from going to church tomorrow, so I am happy. Here’s the card I made this morning. Found a similar once online and just made it my own.